The most successful PS organizations gain a strategic edge by following a simple technology path. 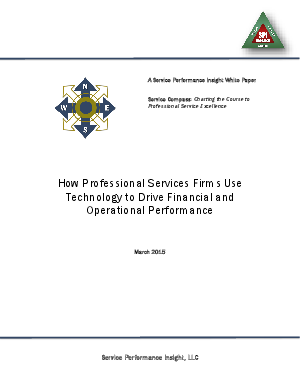 Can the right technology decisions transform your finance and operational organizations? Service Performance Insight surveyed 220 professional services (PS) organizations and concluded the answer is "Yes!"